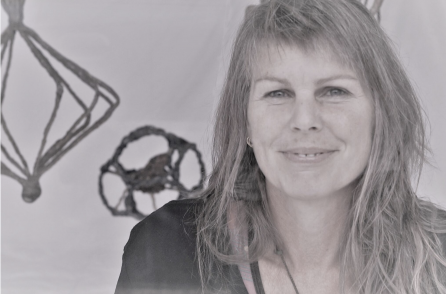 Robyn Webster is primarily a sculptor and printmaker, bringing the tradition of handmade artefacts and natural materials into contemporary fine art practice, most notably with her use of Industrialised Harakeke (flax) fibre both in the creation of her unique sculptures and for her semi-abstracted monoprints. She was introduced to harakeke, NZ flax, in my late teens, and was fortunate to then meet and work under some of Aotearoa’s top weavers. Robyn pays particular tribute to Heeni Kerekere, Erenora Puketapu Hetet, and Emily Schuster. From these dedicated and talented women, she learnt about respect for another culture, the environment, and especially respect for a plant. The figure is a recurring motif, but her emphasis in the river works is on the relationship with the natural environment and commitment to its protection. She entwines the concepts and expression by using natural locally sourced materials like harakeke (flax) fibre and leaf forms to imprint vessel forms and figures, bringing the tradition of handmade artefacts into contemporary fine art practice. 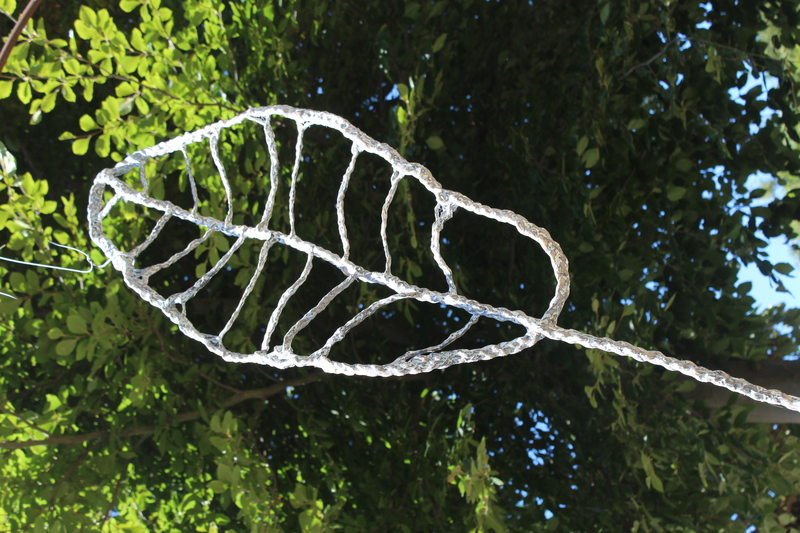 Robyn graduated with honours in Sculpture from Otago Art School, making large installations with waste plastics. She then began working towards an environmentalist art using natural materials, referring more to her own culture and attempting to be less reliant on the Maori traditions that she had been trained in. Practically rather than theoretically Robyn has been working within biculturalism, while simultaneously attempting to integrate a feminist craft ideal within contemporary sculptural practice, all as an ode to the land.